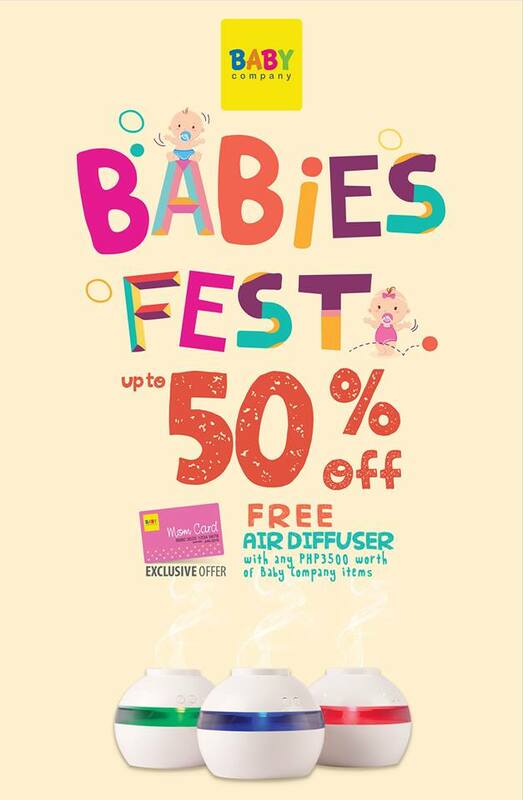 Check out SM Babies & Kids Fest / SALE happening until April 30, 2018 in all SM Stores nationwide! Score great discounts of up to 50% OFF on select clothes, shoes, accessories, toys. baby gear & baby care essentials. Plus, enjoy specials on select sneakers, plush toys, seat cushions, and clothes bundles. That's not all! Mom Card members get an exciting treat: spend at least P3500 in a single transaction at Baby Company and get an Air Diffuser for FREE!